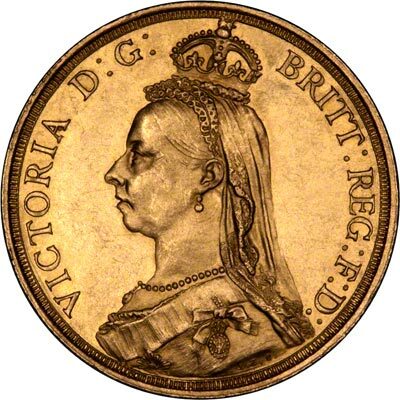 For Queen Victoria's Golden Jubilee in 1887, a gold two pound coin was issued in sufficient quantities for circulation, as well as proofs included with 11 coin sets. 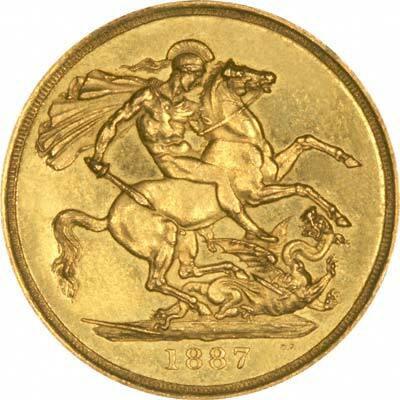 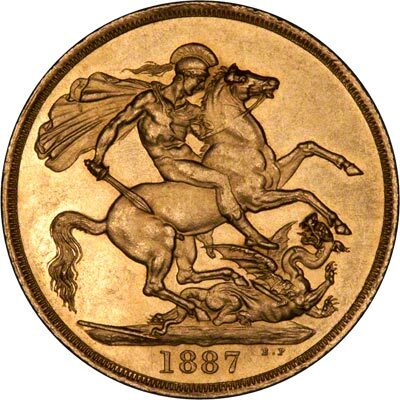 For a brief history of British gold double sovereigns, and other two pound gold coins, please refer to our Two Pounds Information page. 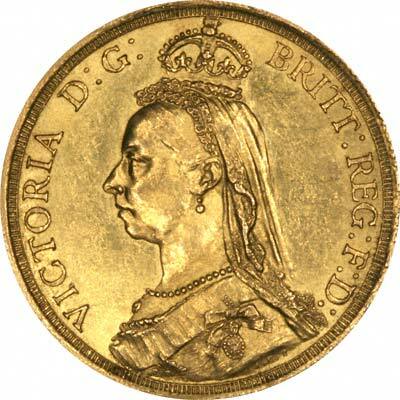 Only in 1823, 1887, 1893, and 1902 were ordinary circulation types issued in addition to proof versions.